Will Philly’s decision to tax sodas sizzle or fizzle as U.S. health trend? The City of Brotherly Love has passed a tax demonstrating its affection for new revenues and its dislike for unhealthy, sugary soft drinks: It’s unclear, however, whether other governments will follow Philadelphia in imposing soda taxes and whether these levies achieve their public health goal of discouraging harmful sugar consumption, especially by kids. Big Soda and its allies, grocers and labor unions, fought tooth and nail the city’s 1.5-cent per ounce soda tax, airing $700,000 in opposition commercials and spending an estimated $5 million to persuade officials in a notably poor city to be like 40 other municipal or state governments in rejecting what opponents attacked as a Big Brother levy. The Philadelphia tax … will apply to all sugary or artificially sweetened drinks sold by distributors in the city. It is expected to increase prices—the tax is about 30 cents for a 20-ounce drink, or $2.16 for a 12-pack. If passed on to consumers, the increase is expected to substantially reduce sales of sweetened drinks. The city finance department estimates it will raise $91 million a year. The only other city with a soda tax had been Berkeley, Calif. Two California cities, San Francisco and Oakland, and Boulder, Colo., are considering the levy. The banes of excess sugar in the diet, especially for kids, have been scientifically documented. Too much sugar fuels health problems, notably in the young, with obesity, diabetes, and dental woes. 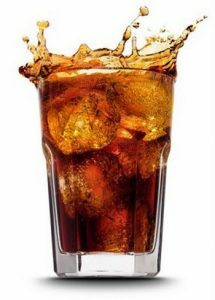 As I have written, a recent study showed how dramatically metabolic syndrome, a high cholesterol condition linked to diabetes, reverses with alacrity when kids get unhooked from sodas and junk food. Federal officials have stepped up their campaigns to get Americans, young and old, to slash the amount of sugar in their diet, leading to some questionable efforts by Big Soda and processed food makers to work around this science-based but negative attention. But as a public policy, it’s unclear whether small taxes on sugary drinks produce a health benefit. The levies, which provoke criticisms of the creation of a “nanny state,” do seem to reduce sales of soda; it’s harder to show that kids get healthier as a result−such as whether they are less obese or diabetic−and if they just switch to other sweet drinks, such as fruit juices that are marketed as healthful but can contain as much or more sugar especially if consumed in volume. Researchers are studying the effects of soda taxes in Mexico, which imposed them in 2013 in the face of soaring problems in the country with obesity and diabetes. Both in Mexico, and in a much cited U.S. study, researchers have found that soda taxes most markedly affect the poor and reduce their soft drink consumption, including by American blacks and Latinos. That alone could be good news in Philly. Let’s also hope that city officials there don’t get addicted to this source of revenue and confront challenges later, as has occurred with cigarette taxes.